This week I wanted to reach out with some inspiration and spiritual insights for your journey. I know this can be an existentially challenging path, to say the least. We’re effectively becoming more than who we used to be. Waking up to a bigger reality. To our souls. 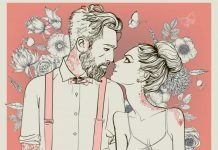 This is unprecedented, and there’s very little concrete help out there for how to deal with something like Spiritual Awakening and the Twin Flame journey. So today, I wanted to reach out with what I know to cut through the confusion, uplift our perspectives and help us see in a different way. Ascension was tough for me to begin with – some of my pillows still have mascara marks on them from all the crying, and sometimes I didn’t even know exactly what I was crying about as the emotions were so strongly from the past. But as I went along I was shown what the reason was for all the struggle (old negative energy that had been passed down to me) and ways to deal with this rollercoaster. To uplift into more joy, more love, more harmony. And as I cleared old negativity, eradicated karmic blocks and ancestral hardwiring of struggle and lack of love – my situation was transformed. My Twin soul and I reached Union within just 18 months of our first ever encounter. When this happened, I was asked to share my step by step method with the Twin Collective to help others reunite in love too. You can find this method here. Recent years have been incredibly intense for those in Ascension. New influxes of light will be palpable and the new high vibration energies will take some time to settle in — but although things don’t happen overnight, have no doubt that things are opening up and changing for the better. As long as you do your inner work, you will be moving upward. These are times of great shifts, and although it might feel uncomfortable while it lasts we are now making room for building new, higher foundations. The old limiting beliefs and energy programs (ancestry, survival, conflict – the old 3D paradigms) must go to make room for the new. For Twins this means “cleaning house” emotionally and energetically in order to be ready for the Union of Souls. A lot of unconscious motivators are being brought up. This love purification is for the benefit of the collective as well as the individual person and Twin pair. Negativity that’s been holding back the collective evolution is being shown up for humanity on an individual basis now so it can be addressed. The body is central to this. 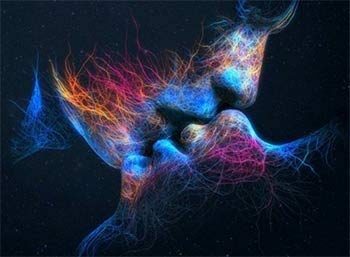 When you and your Twin Flame met, your souls triggered a process of purification that began pushing up everything in the way of love from your respective systems. Although it can be tough when you don’t know how to deal with this or are unaware of what’s really going on – Ascension was pre-designed by your souls to help you. It’s a process that’s designed to open you up to love so that you can live life in bliss. Free from fear, anger, shame and all the negative human emotions and energies. 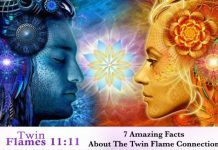 Read more about Twin Flame Ascension here, and the Twin Flame Mission here. Remember that in this universe there is no such thing as imperfect. Everyone and everything is perfectly imperfect for its specific role. You are the perfect you. You and your Twin’s relationship is a “perfect” expression of your energies. If there is trouble, it is “perfectly” created for you to understand what wounds and hurts are blocking you and release them. The human ideas of love and perfection are simply agreed upon definitions that people have got used to, and as soon as we’re born we begin to be told about what’s good and what’s bad, who’s beautiful and who’s not, what love is supposed to look like and why it’s “unrealistic” to expect true love. Throughout your life, whether you’re aware of it or not, you’ve picked up on this, through tv, films, magazines, social media and peers. And it’s stored in your unconscious mind as a measure to hold yourself up against. This is above all what causes so much grief for many – that we are feeling like who we are isn’t “good enough”. The Twin Flame Journey is all about breaking free from this. To learn to look within and begin to focus more on your personal bliss and satisfaction and move toward this. The standard ideals of love and relationships are obsolete when it comes to Twin Flame love. And remember that you engineered yourselves, planned together before birth how you would be. You have deliberately made things a certain way. What you hold towards yourself is what you attract in your Twin Flame connection, and self love it is the key to manifesting unity and harmony with your Twin Soul. I was guided by spirit to create a transformational session to unlock the higher codes of self love and unconditional love at a heart level, and bring in new codes of self acceptance. Have a look at this hour long deep clearing session here. It’s easy to get dragged into the collective fields of heavy emotions as energy is shifting planet wide. You don’t want to end up feeling others’ chaotic emotions, as this will complicate your Twin Flame Journey even more. Imagine a glowing shield around yourself every day when you wake up and when you go to bed and be aware of how you interact with others’ energies – setting the intention is the most important thing. Spirit’s advice is that unless you want more of something in your life, on your journey – think twice about engaging with it. This goes for people, conversations, magazine articles, tv shows. If you’re watching tv shows about conflict and drama, reading books or films about doomed love, you’re engaging with these energies and inviting more of them into your life…. We’re given the message from spirit to have patience, stay rooted in our positive identity as souls (that we are limitless and light), and to use whatever tools we have to purge negatives so we don’t have to let them stay around and influence us any longer than strictly necessary. For more methods and simple day to day tools to uplift into love – go here. This can be a challenging time for many, and the way this expresses itself varies from individual to individual – do not be surprised if repressed emotions well up in the form of aggression or tears, it can go either way. Have compassion on yourself, no matter where you’re at on your journey. It’s easy to be triggered with all the energetic shifts going on. We are being asked to learn to take our emotions with a pinch of salt. Because they are not who we are. They are merely visitors, like clouds in the sky. To move into more and more ease, center into your soul. Your eternal presence of light. Meditation is an amazing way to do this and it will help shift your journey into love from the inside out. If you find meditation tricky, try my Free Guided Alpha Level Meditation where I take you through it step by step. When you volunteered to incarnate together, you and your Twin Soul knew that human life was full of potential conflict, and knew you would be taking on negative patterns and energy from your surroundings. You chose to. So that you with your love could break the negativity open. To bring love into a world full of conflict. To unite in the face of a world full of separation. You believed and knew that with a love as strong as the eternal bond you shared, you could do it. You have everything it takes! Remember though, that old “3D” ego paradigms aren’t just theoretical, abstract ideas and beliefs. This stuff has been passed on energetically and in the cellular structures and neutral pathways embedded from generation to generation. This is why the healing and purging is an ongoing process. To turn the Twin pair from Opposed to United. To embody Love instead of Conflict. To clear out old limiting ancestral patterns and anything else that stand in the way of your being able to truly embody love, use the Complete Harmony Healing – where we not only heal you and your system and download new high vibrational templates, we also work with your Twin’s soul to upgrade their system, removing common triggers of Running and Separation and opening you up to each other once more. Have a look here. 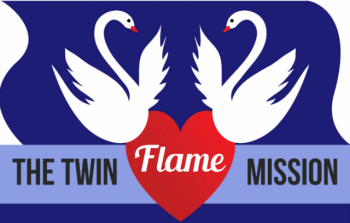 Twin Flame Union is about meeting your other self in unconditional love. So you can see that if you don’t fully accept and love your own human self, this process becomes distorted. Self love is essential. It’s the key that will unlock your journey. Someone who is ashamed of themselves or fearful of not being good enough, finds it hard to look in the mirror. And above all we are meeting our mirror self in our Twin Flame. Our own relationship with ourselves is always reflected in the mirror. So to alchemize the journey into love and physical harmony, go within. Learn to love yourself, as this will make you magnetic to your “other self”. Following your own happiness and being true to your passions in life is “magnetic” to your Twin Flame. It activates very strongly your shared “soul song” – a clarion call they pick up on. Many Twins discover that when they decide to focus on their own happiness, the Twin connection “mysteriously” opens up more than it ever did when they were desperately focusing on it and worrying about it. This is because they have raised their vibration and are now open to a higher “version” of the connection. If you find yourself apart from your Twin right now, do what you can to nurture yourself. If this is something you know you should get better at, make an effort now so your soul won’t be pushing you again to learn this lesson in the future. For a deep session that deals with Self Love, Clearing Out Negative Self Talk and Opening the Heart to True Union, go here. We also interact with your Twin’s soul to help them clear blocks on their side of the connection. As you meet your Mirror Self, you will always be experiencing a reflection of what’s going on inside. When we try to be with someone out of fear of losing them, we attract problems. If you approach this connection from a lack perspective, you are unfortunately funneling negativity into it and blocking your union. If you find it hard to shift out of patterns like that, it’s most often because you have it as an energetic program or a karmic wound in your being. It can be cleared with metaphysical tools, but it won’t disappear by itself. Remember that as souls you are already together – your Twin is always present with you and you are always present with them. (Read more about this here). Center into choosing love for love’s sake. Ask fear to step aside so that you can experience the harmony and unconditional unity you came here for. To remove the major commonly shared fear blocks that cause problems for so many Twins, go here. On your journey when something appears to fall away, or it feels like things are changing uncomfortably, do not fear. Because these things are happening in order to make room for what you have asked the universe for, the prayers you have made, the intentions you have set. If this is happening around you take a detached approach to any “drama” and refrain from judging based on surface appearances, however you can. Remember that what is shifting is for the highest good long-term. 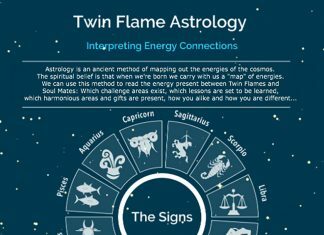 What seems to be breaking down now is something that must be cleared and transmuted before you and your Twin Flame can fully reunite from a place of Unconditional Love. Your path might not seem clear right now, but in order to make room for the new, the old must first shift. Have trust that things are working out for the best, because this aligns your energy with it happening more smoothly and quickly. And, for a special channeled session I created with spirit – where we go into the future manifestations of your path and sow seeds of positivity and love for your journey – go here.